Sometimes the term 'landing page' is meant as a destination page - i.e., any page where website visitors land when they first reach your site. In fact, you'll notice a report in Google Analytics which examines landing page traffic. That's the kind of landing page we'll focus on in this article. What makes landing pages valuable is that, once you have an email address, you can begin the lead nurturing process via a sequence of email messages sent manually or via automated email workflows. During lead nurturing, you get to learn more about your lead - including where s/he is in the buying process - and your lead learns more about you, your organization and the solutions you provide. During that process, you can expose your lead to your thought leadership, examples of your problem solving and start providing information and education about problems your lead may be facing. You can also direct or guide your lead to specific parts of your website and to additional offers. Lead nurturing plays an important role in converting an interested and qualified lead into a customer. Without a landing page which converts an anonymous visitor into an email address and name, you never have the opportunity to find out if your website traffic is right for your business. The right traffic is traffic that is interested in what you have to say and offer. It wants to spend time on your site learning about your organization. The right traffic will want to download your new offers. It also delivers customers and fans. Landing pages are particularly valuable when you consider that the majority of due diligence takes place before speaking with a sales representative. 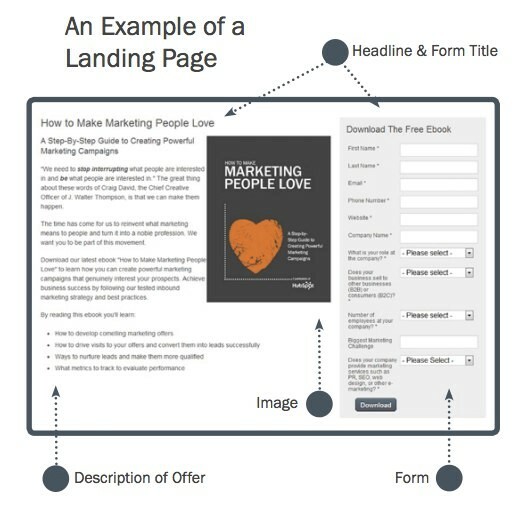 What are the elements of a landing page and how do they work? Ok, so the Landing Page is a powerful tool for lead generation. How does it work? First off, you need to have an offer. It can be an ebook, a checklist, a bundle of delicious and relevant information consisting of links and downloads. 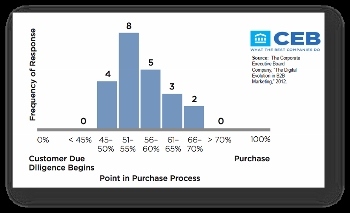 The offer must be of interest to your ideal customer (aka persona) and relate to the stage of the buying cycle s/he is in. Generally, when a prospect is at the early stages (e.g., awareness), the offer will be more educational and relate to research on options available. 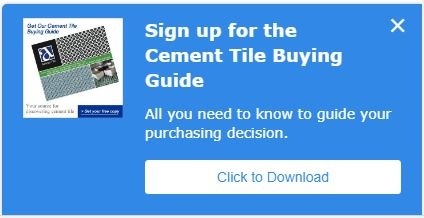 Further down the buying journey (e.g, interest and decision), the offer will be more focused on buying criteria and the decision-making process. A page completely focused on the offer. Even website navigation gets removed so as not to distract from the offer. A compelling headline and space to explain how the offer delivers sufficient value that a visitor would agree to leave an email address and other information. Included bullets to detail benefits. An image showing what the offer looks like. The 'thank you' page is critical to completing the landing page experience. It's a separate web page that appears after you complete the form and click on the Download button. It also delivers the offer you are promising and restores navigation to the rest of your website. Don't forget to include additional calls to action in your thank you experience: an invitation to subscribe to your blog, or to download another related offer. 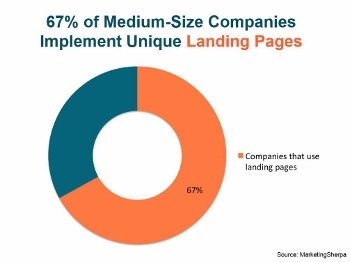 It's almost impossible to measure the success of your landing page. The goal is to reach the thank you page which is measurable in Google Analytics and other marketing software analytics. Your lead is stranded since the landing page doesn't include website navigation. Talk about frustrating! You miss out on an opportunity to further develop the relationship with your lead by offering next steps. Don't forget to promote your Landing Page! Once you have the offer and all of the landing page elements assembled - and you think through and activate the lead nurturing email steps, you can then promote your offer. You'll want to promote the offer with Call To Action (CTA) buttons placed on your website and at the end of blog articles, and in email messages. Wrtite blog articles about the topics you develop in your offer and include your offer's CTAs. Be sure to share your offer on your social networks on a regular basis, and encourge your business associates to share your offer on their social networks and with prospective customers as appropriate. If your offer is compelling, it will generate leads for your business! It's possible that your website content management system doesn't easily allow you to create landing pages which include forms and track the leads you've converted. An alternate solution is to use a popup leadflow form. A leadflow form is a simple yet effective lead generation tool especially when it is combined with behavior on the page (i.e., it appears after your visitor spends time exploring). With this tool, you can include a visual of the offer, as well as a compelling headline and space to explain how the offer delivers value. When the visitor clicks, one to four form fields appear where you can ask for an email address and some additional information. Once the form completed, the visitor can access the offer via a link on a 'thank you' message. With this solution, you can't send a follow up email to your prospects, and you can't customize the thank you experience to encourage specific next steps through your site, however it provides a flexible solution. Ready to implement a landing page? Do you understand better what is a landing page and how it works? Are you ready to implement one? Or, if you already use landing pages, what's your experience with them? Which have you been really impressed with? How are they working for your business? Thank you HubSpot for the great visuals! Note: This article was originally published on April 2, 2014 and has been updated.